54 inches; loose articles must be stowed in lockers adjacent to the attraction’s entrance; has Express Pass access; also has a front row line for each coaster; guests must pass through a metal detector prior to riding. 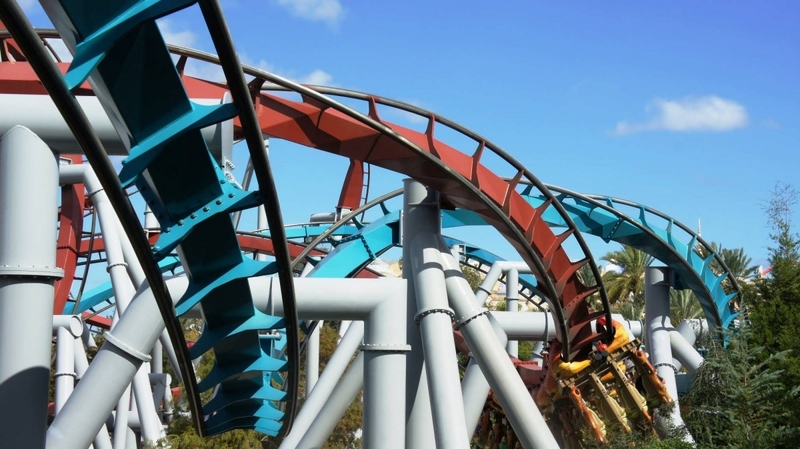 This high-speed, outdoor roller coaster is an absolute must for thrill-seekers. Step inside the Triwizard Tournament, choose to ride the Hungarian Horntail or the Chinese Fireball, and test your mettle in the tournament’s first contest! Many days you will probably spend more time walking from the attraction’s entrance all the way up the outdoor walkway and through the castle to the loading area than you will standing in line. Don’t forget to check out Ron’s car and the various Triwizard artifacts in the queue. Before the Wizarding World of Harry Potter, this ride — which is the longest duel inverted roller coaster in the world — was part of IOA’s Lost Continent and carried the name Dueling Dragons. Many locals still refer to it by that name. This page presents a summary and guest reviews of Dragon Challenge. 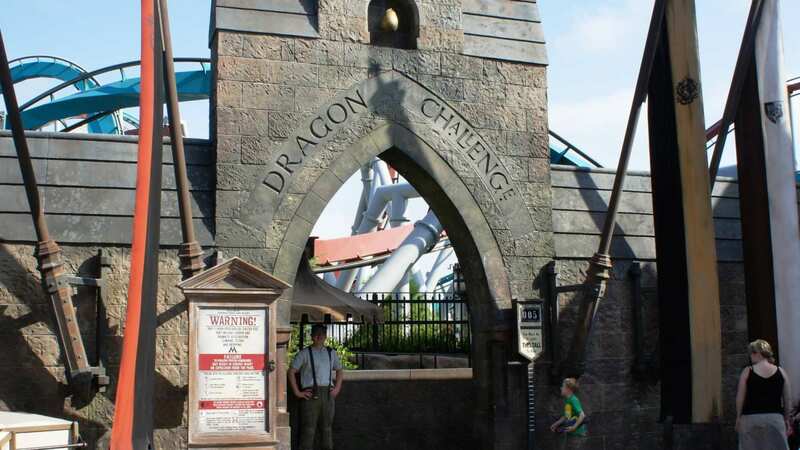 To learn insider secrets about this attraction, when you’re done with this page be sure to visit our Dragon Challenge: Secrets of the queue page, which used to be part of our Insider’s guide to WWoHP before its closure. For more than a decade, the signature thrill of Universal Orlando’s “Dragon Challenge” has been the ride’s three near-collisions, in which the attraction’s two intertwined roller coasters, speeding along their tracks at up to 60 mph, pass within 18 inches of each other. Precisely what happened in the two incidents remains a mystery. Universal will not discuss the findings of its review, though the resort’s statements in the aftermath of the two incidents — in which it reminded guests of its long-standing policy to secure all loose items before boarding the coasters — suggest that they may have been caused by items falling out of guests’ hands or pockets as the coasters raced along their tracks. Universal has announced that a new Harry Potter roller coaster, family-friendly though still thrilling, will open in 2019. 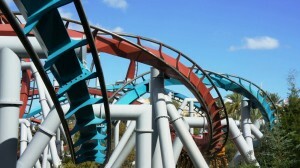 Please note that this video shows the coasters dueling. I absolutely loved this ride and highly recomend it. I went on the blue side first after being told it wasnt quite as intense as the red. I was so excited after the first ride i almost missed the shortcut back to re-ride. The red side semed to be faster then the blue but i loved the blue side. The que has some cool things to look at while you wait too. Overall i loved everything about this ride and look forward to riding again on the next visit. 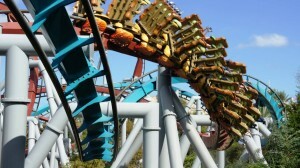 Dueling Dragons isn't what it used to be. Yeah, I know it's called, "The Dragon Challenge" now since the re-theming, but it's still Dueling Dragons. When the ride was still a part of the Lost Continent, the entrance and line cue were fun and imaginative. I always found the ride to be a bit rough, but I thought that the idea of two roller coasters running at the same time and almost colliding was really cool. Unfortunately, for safety reasons, the "dueling" aspect of the ride was removed and the two trains now operate independently. So, while it is a decent roller coaster, the re-theming and absence of the dueling aspect really take a toll on the experience for me. 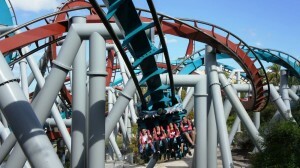 And, to be fair, I am a bit biased because I was a big fan of the ride when it was Dueling Dragons. 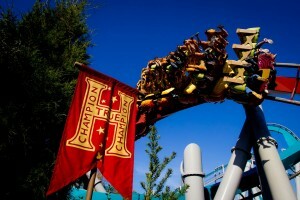 So, if you weren't a big fan of the original ride and are there to fully enjoy the Wizarding World, you'll really enjoy. It just doesn't hold up for me. These roller coasters are fun. I would recommend not eating prior to riding if your stomach is easily upset. 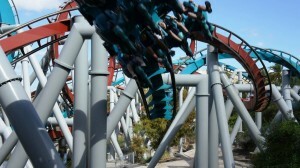 The blue dragon has more twists and loops, and it seemed like the red dragon went slightly faster, but I'm not sure. The queue has a lot of Harry Potter artifacts (like the Ford Anglia), so it keeps Potter fans entertained even while waiting in line, which in my experience typically isn't too bad! Probably my favourite rollercoaster aside from Hulk and Rip Ride Rockit. I love this ride so much, especially the queue- Universal put in so many Potter references to the Goblet of Fire task - it's not even funny. 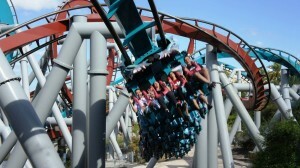 I loveee rollercoasters, and I love that this ride has my feet dangling... I dunno why. This ride gives me a great view of the Hogwarts Express! 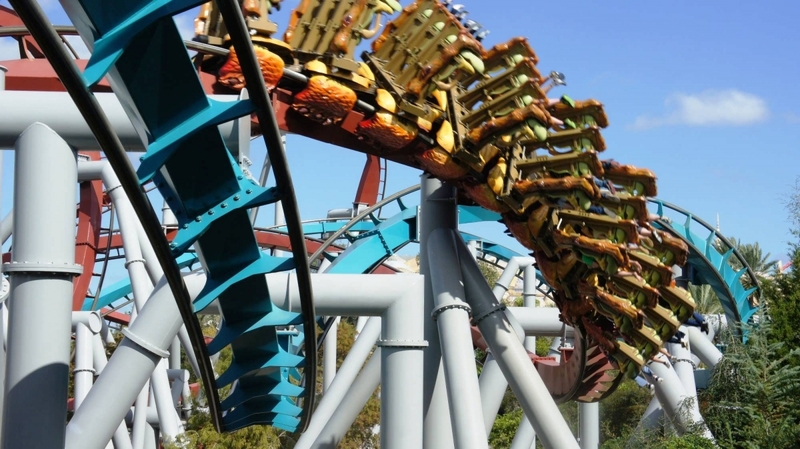 Also, I've heard from Team Memebers that the Red dragon (Chinese Fireball, Krum's dragon) is FASTER, and that the Blue dragon (Hungarian Horntail, Potter's dragon) has more Turns/loops.